Novuyo Rosa Tshuma is one of the brightest names in African writing right now. The native of Zimbabwe who has lived in South Africa and the USA has two books to her name. 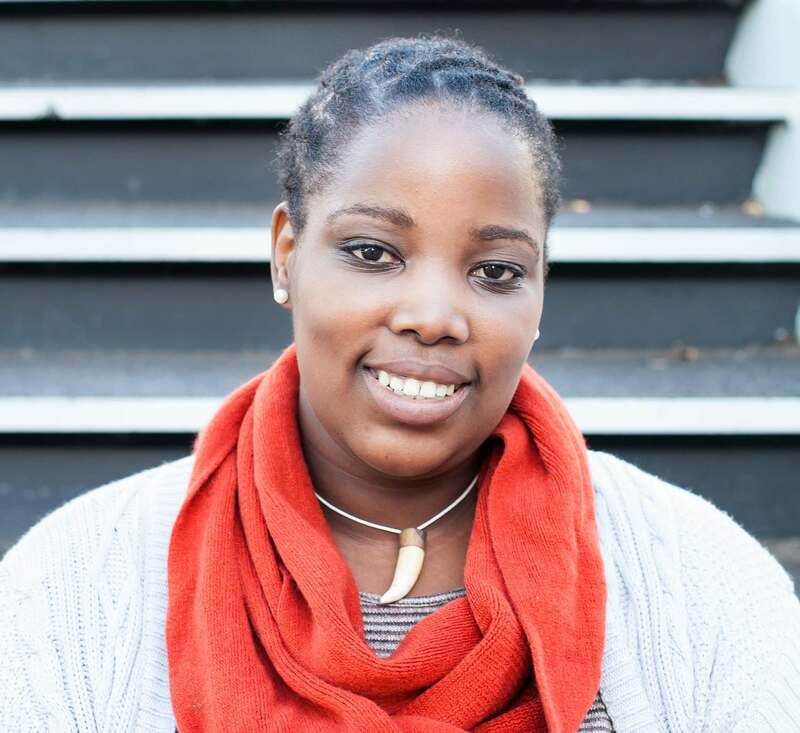 Shadows, her debut short story collection, was published to critical acclaim by Kwela in South Africa (2013) and awarded the 2014 Herman Charles Bosman Prize for the best literary work in English. Her most recent work House of Stone has been getting rave reviews and is set to be unveiled at the Africa Writes literary festival later in the month. CENTER FOR AFRICAN CULTURAL EXCELLENCE (CACEAFRICA) STATEMENT ON COMMUNITY AND THE AFRICAN LITERARY SCENE. On June 10, 2018, we were alerted to a social media discussion on erasure and “a crisis of masculinity” in African literary circles. The conversation was started by @EnkareReview’s statement regarding their loss of access to their website and other issues arising from the departure of their former editor, a writer and fast-rising star, @TroyOnyango. We were upset to read that in July 2017, when we (through @Writivism) communicated with Mr. Onyango, he had already left @EnkareReview. We didn’t have this information at the time, and we regret that we dealt with him on the assumption that he was still a member of the collective. We apologize to @EnkareReview collective for the oversight. We appreciate their goodwill regarding the partnership we have with them, under which they publish the shortlisted essays for the Koffi Addo @Writivism Prize for Creative Non Fiction, that we administer. We commit to regularising the @Writivism – @EnkareReview partnership on an institutional basis. We support the institutionalization than personalization of African literary initiatives. During the social media discussion on erasure and masculinity, @Writivism, and one of our three co-founders, Mr. @bwesigye Bwa Mwesigire were mentioned by Ms. @NovuyoRTshuma, an extra-ordinary writer, with whom we worked for one year, between 2012 and 2013. As an organization, @CACEAfrica and its flagship program, the @Writivism Literary Initiative, we acknowledge the failure of a professional working relationship between Ms. Tshuma and Mr. Bwa Mwesigire, which contributed to the resignation of the former in 2013. After Ms. Tshuma’s departure 5 years ago, we strengthened our capacity, established a voluntary Board of Trustees in 2014, and a Council of Advisors in 2017. We also adopted various policies and principles that protect every single individual who interacts with our programmes. As an organization, we continue to learn from intense & murky interactions that cause rifts & harm. We condemn any attempts to erase any individual’s contribution to the work we have been doing, since 2012 due to a failure in interpersonal relationships among other reasons, etc. We recognize and are grateful for the work that over 500 African writers, publishers, academics, readers, individuals, etc have invested in the literary eco-system that Writivism has become. From mentors, workshop facilitators & participants, mentees, prize judges & readers, festival speakers & attendees, staff & volunteers, partners, our social media family, to co-founders and writers who trust us with their work, we remain committed to growing a safe community. To individuals who have been slighted through interactions with one another, we apologize. Writivism, and literature are bigger than single individuals. While the statement from the organisation was robust, it seems that one of the organisations co-founders Bwesigye Bwa Mwesigire was not on the same page. He would go onto his Twitter account ranting against his former colleague in an unprovoked attack. Here are samples of the tweets he sent out to the Interwebs. WRITIVISM FOLLOWUP STATEMENT ON COMMUNITY AND THE AFRICAN LITERARY SCENE. On Monday June 11, 2018, the Centre for African Cultural Excellence (CACEAfrica) management released a statement regarding a social media discussion on erasure and “a crisis of masculinity” in African literary circles, a conversation that was started by Enkare Review team’s statement regarding their loss of access to their website and other issues arising from the departure of their former editor, Troy Onyango. During the course of the social media discussion on erasure and masculinity, the Writivism Literary Initiative was mentioned by Mr. Bwesigye Bwa Mwesigire, one of our founders, and Ms. Novuyo Rosa Tshuma, an extraordinary writer who worked with us between 2012 and 2013. The tone of those comments was counter to the community values that we strive to foster at Writivism an ecosystem that has benefited from the contributions of over 500 African writers, publishers, academics, readers, scholars and individuals. While we are grateful to both parties for their contributions to Writivism we would like to state unequivocally that we do not endorse any statements made by either party in relation to their work with Writivism. We condemn any attempts to erase any single individual’s contribution to the work we have been doing since 2012 and to individuals who have been slighted while on Writivism business, we apologize as an institution. Otherwise, we wish all parties well and hope that they will resolve their personal issues without our involvement. We are in this for the love of literature on the continent of Africa. We believe Writivism and literature are bigger and more important than single individuals. While the statement was welcome, it did not deal with the real issue which was public slander against Tshuma and she had no choice but to issue a statement on the same. Here is the statement in full alongside Tweets that the Zimbo writer had posted to accompany it. On Tuesday June 12, I lodged a formal complaint with the Writivism Board of Trustees against Mr Bwesigye Bwa Mwesigire’s continued and relentless public slander against my person using my work with Writivism and CACE in 2012–2013. This has been going on unchecked. CACE recently made a public announcement with regards to this very issue which I raised on twitter. CACE’s public announcement on twitter acknowledges my having worked with them and Writivism, as well as my having left in 2013. CACE, furthermore, claims that they have since undertaken capacity building to ensure every single individual who works with them is protected. They have furthermore publicly condemned the erasure of the work of any individual who has worked with them. In spite of this, Mr Bwa Mwesigire continues to publicly slander my person with regards to my time and work with Writivism. As I wrote to the Writivism Board, if Mr Bwa Mwesigire has any valid complaints or accusations with regards to my work and time with Writivism, he ought to bring it through the proper channels that CACE claims it has put in place as an organisation. I do not appreciate his continued public slander which has since gone unchecked by CACE or Writivism, and do not wish to regret having been associated with these programs due to this continued public slight of my person in the name of Writivism by one of its co-founders. This is not the first time I have lodged a formal complaint with CACE against Mr Bwesigye for his public slander. I lodged my first formal complaint in 2013 to the co-founders when I left CACE. My excellent and impeccable work with CACE and Writivism was acknowledged upon my departure in writing by CACE’s co-founders, who expressed sadness at my leaving as well as acknowledged my love and passion for the work I did with CACE and Writivism. This excellent work was also acknowledged in writing in 2014 by Mr Bwa Mwesigire himself. And yet, this public slander persists unchecked. I left Writivism after an ugly and personal fall out with Mr Bwa Mwesigire. Mr Bwa Mwesigire continues to harbour personal animosity and to use this personal animosity to slander my person and to use the legitimate work I did with CACE and Writivism to do give an aura of legitimacy to this abuse. This is petty, malicious and nasty, and in bad taste. The Writivism Board of Trustees asked Mr Bwa Mwesigire to take down the public slander. Furthermore, I received a formal apology from the Writivism Director as well as an assurance that this would not happen again. Mr Bwa Mwesigire did not adhere to the Board’s request to take down his slander. Writivism furthermore assured me that they would put out a statement clearing the air. I am disappointed that Writivism’s public statement does not reflect, and in fact counters, what Writivism assured me of in writing as well as the email apology I received. I have had to make my own public statement putting this matter to rest. It was only after my public statement calling this out and holding Writivism accountable to their professed organisational principles today (Saturday June 16) that this slander and abuse were finally taken down by Mr Bwa Mwesigire. I would like this on record. We hope that this is the end of that aggressiveness towards one of our favourite writers and human beings on the African literary scene. Previous Previous post: 700 page Sol Plaatje biography to launch at Sol Plaatje University.